Louisa Morris started cooking & entering local show competitions at a very young age. Her mum, Wendy Cleve is the inspiration behind her baking. Wendy herself entered & won many awards at local & state agricultural shows. Her Great Aunty Bid Stockdale was also an inspiration, she prepared sweet treats & preserves for the shearers & family on their property “Gracedale” in Darraweit Guim. This then lead Louisa into a career as a chef then into the world of small business, making wedding cakes. Established in 1996, Louisa has over 20 years experience making wedding cakes. She now focuses on textural designs using buttercream & chocolate. 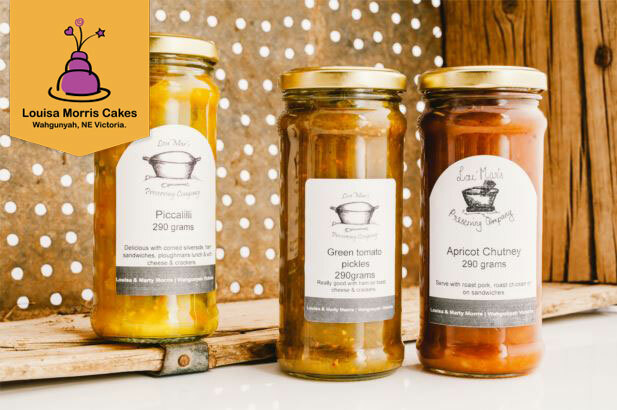 Louisa then went back into making preserves for commercial & wholesale with the main focus on using local & seasonal produce from farmers in the North east of Victoria. 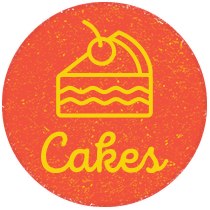 The delicious preserves are used in fillings for wedding cakes & other baked products.